My dear friend Shelly Widman is launching her first book today! This is always a big event which is the result of years of work, a.k.a. burning the midnight oil to address edits you may not even agree with, but your publisher insists on, hours of praying for the right words etc. Giving birth to a book can be painful, but when the arrival shines its beautiful front cover face into the world it’s so worth it. And…her book is fantastic. I respect Shelly and her husband because they’ve successfully raised all their kids to love Jesus and serve him– no small feat in our day. Her book provides an intentional look into the why behind what we do as parents rather than the how. She also gives some great tips that I can still incorporate into our home even though our kids are older. Below are some thoughts from Shelly about why she wrote the book and links to getting it on Amazon or at your favorite local bookstore. I have a confession to make: I wasn’t the girl who always wanted to be a mom. I know lots of women who have dreamed of being a mother since they were little girls, who always cuddled and nurtured their baby dolls, and who played house for hours on end with anyone who would join them. When I was a little girl, I lined up chairs, made worksheets, and played school. My poor baby dolls and stuffed animals sat in a classroom all day rather than getting cuddled! I always wanted to be a teacher; unfortunately, being a mom was not exactly on my radar. So when I had kids, I found myself in waaaaay over my head. My husband and I had no idea what we were doing. We found ourselves reacting to situations as they came up, rather than planning ahead for what we wanted to see in our kids. And when we consulted parenting books, we found that many gave us pat answers to the many complex questions that we had about raising our daughters. We didn’t need to be told how to raise our kids, we needed to step back and ask why? Why were we doing what we were doing? Why should we emphasize certain values? Were there others we should consider? Here’s what we realized: asking why gets to our motivations. Asking why goes deeper than simply asking how. Asking why helps us understand our purpose and helps lead us to ways we can go about fulfilling that purpose. Asking why makes us more intentional. A couple of years ago I read a book that has really stayed with me. It’s called You Are What You Love, by James K.A. Smith. In this book, Smith helps his readers understand that where we spend our time, our money, and our efforts reveals much about our hearts. What I took away from the book was that the things we emphasize in our homes are the things that are ultimately important to us. Are we encouraging our kids to worship? Why? Are we spending all of our time running around from activity to activity? Why? Are we talking about big, important cultural issues with our kids from a biblical perspective? Why?
. . . or why not? Smith would say that we emphasize, or spend time on, those things that we love. If we take a look at our lives and what we’re pouring into our kids, what do we see? As a young mom, I knew that we were here for so much more than just a shared existence, and that’s what prompted me to really look into the “why” of our family life. And beyond that, the “why” as to what we were doing to disciple our kids—the spiritual values that we were trying to instill in them. Asking why helped us come a little closer to the purpose of our family. And that changed everything for us. Shelly’s book, First Ask Why: Raising Kids to Love God Through Intentional Discipleship, releases on April 24, and is available for preorder on Amazon and Barnes and Noble or through Kregel.com. Happy National Poetry Month! When I heard you were being honored at Festival of Faith and Writing this past weekend and I was not going to be there, my heart lost a sad beat. The last time we spoke in person was back at Festival 2014, but your work sings to me in every season. Some nights I come across your heart and unique poetic voice while reaching for chapstick in my nightstand drawer, but instead I grab Harvesting Fog and my lips dry out as my struggling eyelids give way and your book rolls up and down with my sleeping chest. Or I hear you when I’m running on a trail in the woods, telling me to watch out for, “their blunt ends jutting,” or staring at the rain, waiting for the right word. Thank you for inspiring me to teach poetry, every April. Yesterday we visited Seamus Heaney’s “Clearances,” his tribute to his grandmother, “A cobble thrown a hundred years ago keeps coming at me.” Thank you for speaking into the necessity of awareness of memory and recommending the brilliant book, The Geography of Memory. 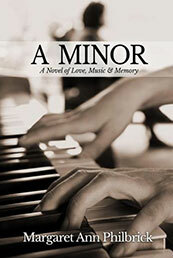 My first novel benefited greatly from Jeanne Walkers’ heartbreaking reflections of her mother’s descent into dementia. I tell my students that poetry gives voice to things we cannot see. Sometimes a sliver as subtle as a glinting shadow stops our breath and Sprit-filled words compel us to capture the holiness of light and shade. I’m sure that my sweet, writing sister Tammy Perlmutter will do a wonderful job blessing and honoring you this weekend, but since poetry is personal, I can’t help myself. Our crooked letters bump and grind against each other with the discomfort of teenage angst, loves lost and gained, middle age’s menopausal fog (not to be harvested) and later years of sensible shoes, hand knit sweaters and an incising eye that can only come from standing decades in the mystery, with gratitude. This article originally ran a couple of weeks ago in Relevant magazine and it seemed like a good time to run it here as well. Be blessed this Eastertide! Feel free to reach out in comments with any thoughts. I keep the comments private. Thanks for reading.